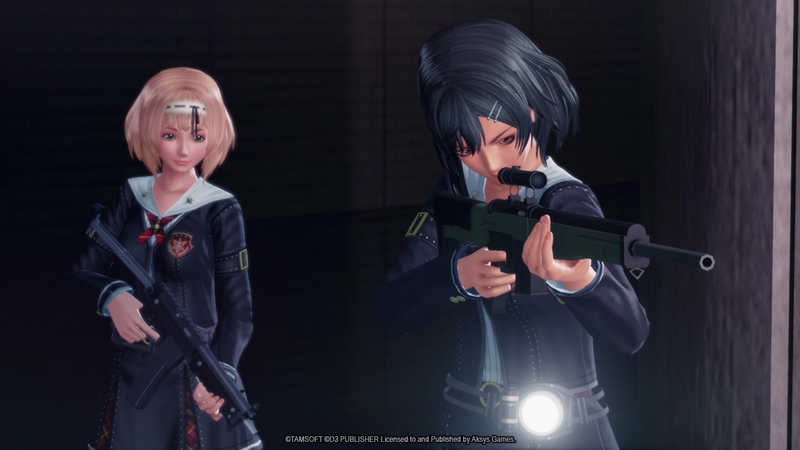 Set in the Onechanbara universe, School Girl/Zombie Hunter is exactly what its name says it is: a game where you hunt zombies as a school girl. It's got sexual aspects that are more amusing than they are arousing, such as having a dedicated "remove clothes" button and being able to distract zombies by throwing your underwear around. Publisher Aksys Games announced it will hit North America on PlayStation 4 this November 17, 2017. Just in time for Thanksgiving so you can play with your family! They also released some new screenshots in English and described the game a fighting zombies with "overwhelming firepower, surprisingly specialized skills, and a wardrobe full of fashionable underwear!" I played it at Tokyo Game Show 2016 last year and it plays as you'd expect a budget game to play, but you know if you're interested or not already.